Giana Sisters Twisted Dreams – Director’s Cut was developed and published by Black Forest Games on the Xbox One. It was released on December 12, 2014 for $14.99. A copy was provided for review purposes. The Giana Sisters started off in a title known as The Great Giana Sisters which was released in 1987 on the Commodore 64. The title caused many controversies as the game’s design was incredibly similar to another popular platformer released at that time, Super Mario Bros. As a result, the brand went quiet for many years. Fast forward to 2012, Black Forest Games was successfully funded by a Kickstarter campaign for a project known as Project Giana. 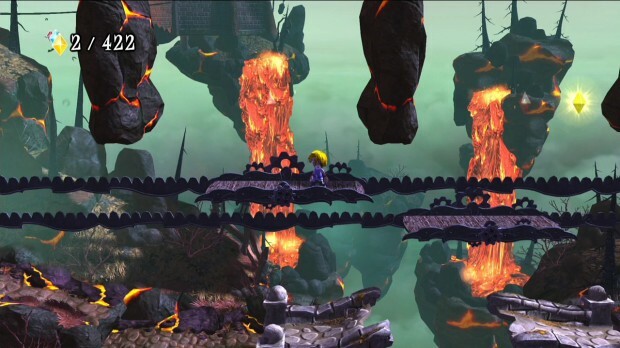 After more time passed, Giana Sisters Twisted Dreams was released on the Xbox Live Marketplace for the Xbox 360 on March 20, 2013. 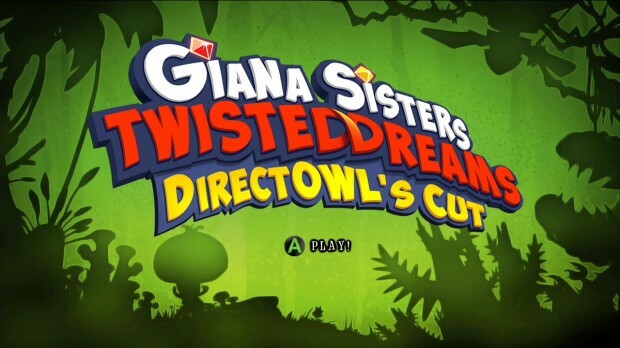 Moving ahead to current times, Giana Sisters Twisted Dreams – Director’s Cut was released on the Xbox Live Marketplace for the Xbox One on December 12, 2014. When I first got a hold of Giana Sisters Twisted Dreams – Director’s Cut, I thought to myself, this is going to be great. Giana Sisters Twisted Dreams for the Xbox 360 was a blast and I’m excited to see the new improvements and extra content that is included in the Director’s Cut. After playing through the game extensively to provide a quality review, I’m at a loss for words to describe my experience. Then I found it. Let me show you below. Scenery and soundtrack: This game is gorgeous and a sight to behold. Advertised at a stable 1080p and 60 frames per second (most console games are 30 fps), the quality of the art is quite noticeable. So much so that it becomes quite difficult to go back to the Xbox 360 version of the game. It’s not that the Xbox 360 version of this game had bad graphics, it’s just that this one is so much better. Graphics don’t make a game but I sure can applaud them for it. There are many different backgrounds in the game and each background is very detailed. In a castle type level, you can count each individual brick if you desired (I don’t recommend it). If there is a leaf wall to jump up, the wall maintains its shape and form but at the same time individual leaves will start to fall from the spot the player jumps up from. The attention to detail is very fine. There is almost nothing else to say… and then the player press a trigger button to transform into the other Giana. Punk Giana platforms to the happy variety of backgrounds featuring owl type enemies. Owls may look friendly but are in fact harmful to Punk Giana. Cute Giana platforms to the mean and sinister looking backgrounds filled with demon type enemies that pace around waiting for a Cute Giana to collide into them. 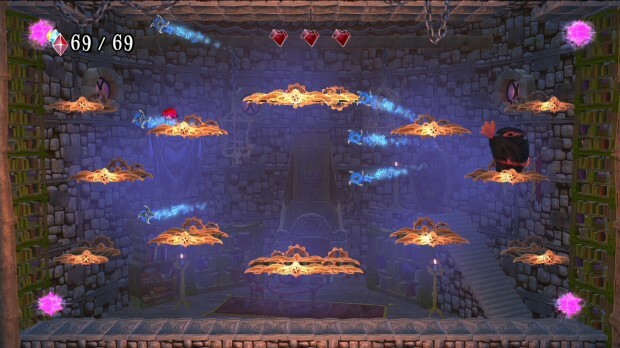 At the press of a trigger, the background and foreground transforms to match the current Giana that is in play and there is no limit to how many times the game can shift. The soundtrack is very fitting to the game being played. The melodies match the levels being played as well as the Giana that is being played. Cute Giana has a tune that is more traditional to platformers and at a press of a button, a more metal sounding soundtrack starts playing as the player takes control of Punk Giana. Through all of this, there is no delay in either background or music through multiple transformations. It’s truly amazing. Simplicity of controls: Press X to turn into a Fireball and dash a short distance as Punk Giana. Press Y to twirl and hover in the air and slow the rate of descent as Cute Giana. Press A to jump. Use the control stick to move. Press a trigger button to change Giana type. The problem with many games is that there is an over reliance on multiple button press combinations to move sequences along which sometimes becomes difficult to keep track of. In this game, the actions are kept simple and instead the difficulty lies in multiple quick actions of one button presses. The controls in this game become second nature very quickly. Minor changes from the 360 version: There is a trend going on in which Xbox 360 games are being made available on the Xbox One. Some games are released in higher quality with no new content. This game is not one of them. 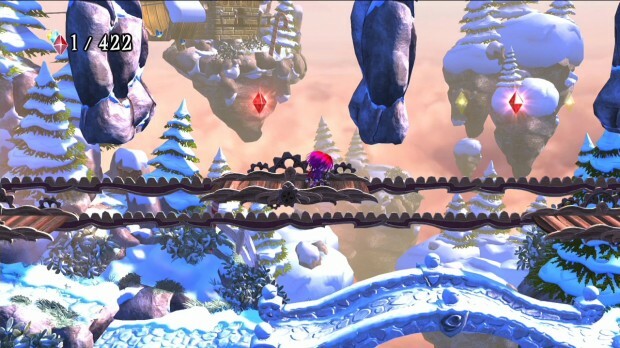 One of the most noted comments of the original Giana Sisters Twisted Dreams was the steep difficulty involved in the gameplay to most players. The developers have since learned from the criticism of the first release and added in many new features such as a tutorial, normal mode difficulty that simplifies the game, bosses being separated from the levels they were attached to and more. I find the amount of tutorials to be overbearing this time as it teaches you in the tutorial, in the first few levels of world one and it teaches you again on the first level of world four. I like the new gem counter. 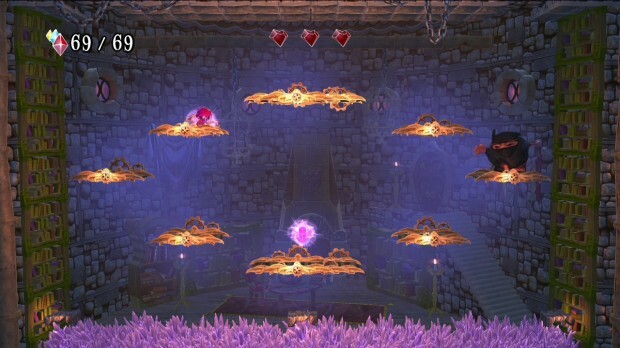 In the Xbox 360 version of the game, the game kept track of how many gems the player had in the level but did not mention the total amount possible. The Director’s Cut added how many gems were located in a level which essentially cut out the guess-work of wondering if all gems were collected for a level. Another feature that I liked that might not benefit many people is the option to select which world I would like to play first. The reason why I say it might not benefit many people is that the difficulty level is very steep in the later worlds. However, I’m accustomed to the difficulty of the game and welcomed the opportunity to visit world three first which I both loathed to replay but at the same time welcomed the challenge again. One last addition that I liked was Normal difficulty. I didn’t touch the difficulty until I finished my playthroughs of the game for the initial review. I went back to it in an attempt to cover the other options that this game had to offer. It was shocking. In many games, normal difficulty consists of more lives and fewer enemies and very little other changes. Not this game. This game offers up more shields but not lives and changed a vast majority of the landscape to provide a much easier experience to players that want to have an easier time through. Many of the levels were thoroughly altered in a way to make life easier. I found Normal difficulty a bit too easy but I welcome the option. Below is a comparison of a boss stage on normal difficulty and the same boss stage on hard difficulty. Game crashes: In the 54 hours that I played, the game crashed and booted me back to the dashboard nine times. Some were during loading screens, some were during the beginning of the stage. Game crashes occurred after a few hours of playtime. This was actually an issue for me during the Xbox 360 version of the game and I was sorely disappointed to see it unfixed. It could be different issues causing it, I don’t know. All I know is that a crash is a crash and I don’t like it. Loading times: Another prevalent issue in the Xbox 360 version. In the Xbox 360 version, all load times were around 30 seconds even if you just started a level, quit out and restarted the same level. In this version, occasionally the load times were passable but other times the loading times clocked in around 20-30 seconds before I could play the level. It’s still unacceptable that the load times are so long but I can imagine attributing the cause to loading in the level graphics and music. Through all of this, there is still no restart level button. Loss of Leaderboard: I don’t care about in-game leaderboards. The leaderboards for the Xbox 360 version of Giana Sisters Twisted Dreams never worked for me and would crash my game the moment I tried to open it. I don’t think many people liked the leaderboard for the Xbox 360 version either as the leaderboard feature did not come back for the Xbox One version. But then I pose the question, why am I playing Time Attack or Score Attack if there is no option to compare against other people? Without a purpose, its little more than playing the same levels as adventure mode to beat some arbitrary score or some arbitrary time. I would like to see Time Attack and Score Attack modes have more meaning. 1. More content: The original game and extra content with higher quality visuals is offered for the same price as the original game. The Director’s Cut offers The Rise of the Owlverlord which is an entire new world worth of levels and features a new boss. The Director’s Cut also features extra Halloween and Christmas levels which seem to be reimagined versions of existing levels in a holiday format. These holiday levels are quite a sight to look at. 2. More enemy types: One of my biggest gripes in the original Giana Sisters Twisted Dreams is a lack of variety of enemy types. While the original three worlds are left untouched, the new Rise of the Owlverlord content adds several new types of enemies that change the style of gameplay that is offered. My favorite new enemy is the snail which is harmless while using Punk Giana but becomes a grotesque spider-like snail that sometimes moves very quickly while playing as Cute Giana. 3. Tighter controls: One of my other biggest gripes in the original Giana Sisters Twisted Dreams is the swimming sections and the floating bubble sections. The other controls were fine but these two particular types were a nuisance. In both instances, the character would drop like a rock if the A button was not frequently tapped to keep the character swimming or floating. This time around, the characters seem to float more which allows for more precision. I feel like I’m in total control of the character now. 4. The little changes: In the Xbox 360 version of Giana Sisters Twisted Dreams, if a player had a shield and picked up another shield, the picked up one would disappear without giving benefits. That’s been fixed. When the player drops in to face the world three boss, occasionally the shield would not be picked up on the way down leading to an unfair boss fight. Now the shield is unmissable. The spikes hanging overhead in the beginning of 3-2 and the end of 2-4 were taken out. Those were unnecessary griefing spots before. These little changes let me know that the game was examined by the developers to ensure better gameplay. Does Giana Sisters Twisted Dreams – Director’s Cut exceed expectations? Yes, very much so. 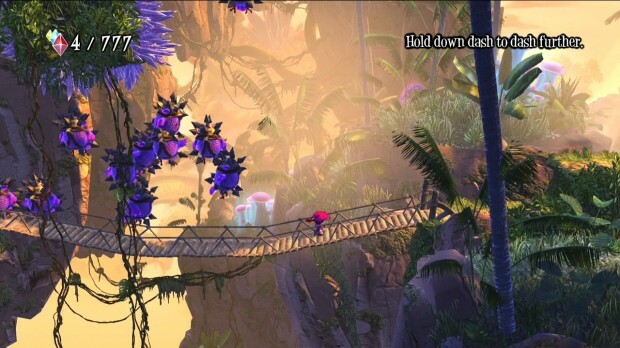 Black Forest Games created a fantastic platformer worthy of being experienced by people for its graphical experiences, soundtrack and solid gameplay albeit on the more difficult side. Normal difficulty provides a suitable gap to those with less platforming experience that still wish to join in on the fun. Those that have purchased the original version on the Xbox 360 version should still buy it for the better graphics, better controls, more options involving difficulty and level selection and more content. If you already own the Xbox 360 version and are strapped for cash, try the Director’s Cut out. If you don’t like the Xbox 360 version of the game then chances are this version won’t change your mind either.